Towering over what was once the edge of the antique Greco-Roman civilization, The Rock of Gibraltar offers panoramic views as well as some of the highlights of any tour of Gibraltar. Rising 426 m (1,398 ft) above sea level, this incredibly important strategic rock bears traces left by its many conquerors. Follow the loop trail in either direction and discover its most important sites, including a Moorish castle, a small museum dedicated to the French and Spanish siege, a natural cave turned into an auditorium, and a network of underground tunnels. Reasonably fit nature lovers should take the Mediterranean steps. The rock is home to a population of Barbary macaques that can behave quite mischievously, especially if you forget that these are wild animals. 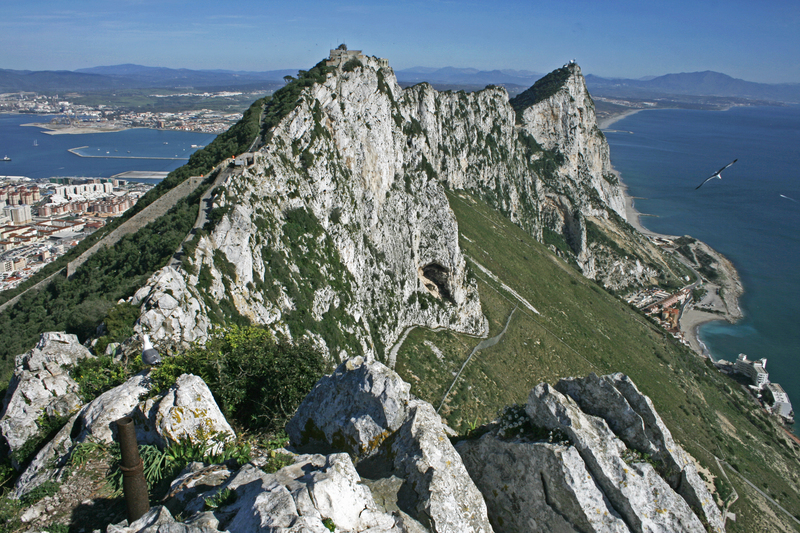 Start your trip to Gibraltar by creating a personalized itinerary on Inspirock. Well, the Rock of Gibraltar was spectacular So very easy to see the historical significance of this place. The views are lovely -all the way to Morocco. Even with a cloud hanging over the rock during our visit, it was a site not to be missed even if just to understand its historical importance. A spectacular and iconic sight, with apes, caves and tours. You can drive around sections of the rock to visit various lookouts and caves, as well a cable car for the best sights. Expect to do some walking. Very memorable location. Great place to visit. we went up by cable car. You don't need to visit the nature reserve to see the monkeys (although I am sure its at great place to visit) they are up and to the right of the cable car coming in. Great views as well. Don't feed the monkeys, massive fine for doing so. I really recommend eyeryone to do this. The views are amazing from everywhere on the rock. The skywalk and suspension bridge aren't as thrilling as you'd expect but are fine. The signage on the rock is HORRIFIC!!! We got lost on our way to the suspension bridge and had to walk all the way back up the rock to find it. Just a friendly tip, if you don't have to take a bag then don't because the monkey will jump on your back to look for food. Monkeys are everywhere!! But despite this stuff it was still an amazing day! Every day, we help thousands of travelers plan great vacations. Here are some tips on how to use your Listing Page to attract more travelers to your business - The Rock of Gibraltar. Promote your permanent link - https://www.inspirock.com/gibraltar/the-rock-of-gibraltar-a18832151 - on your website, your blog, and social media. When a traveler builds a plan from this page, the itinerary automatically includes The Rock of Gibraltar. This is a great way for travelers looking for a great vacation in your city or country to also experience The Rock of Gibraltar. Promoting your link also lets your audience know that you are featured on a rapidly growing travel site. In addition, the more this page is used, the more we will promote The Rock of Gibraltar to other Inspirock users. For best results, use the customized Trip Planning Widget for The Rock of Gibraltar on your website. It has all the advantages mentioned above, plus users to your site can conveniently access it directly on your site. Visitors to your site will appreciate you offering them help with planning their vacation. Setting this up takes just a few minutes - Click here for instructions.